Every attorney has the knowledge that they should not divulge any information they know regarding the case they are handling or any notions they have in the court. 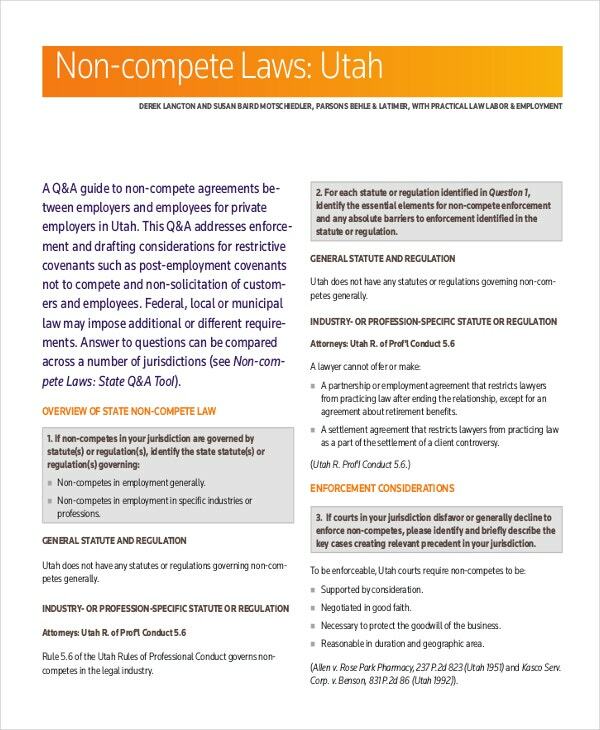 To make sure that they will not do anything that is illegal or outside their oath, an attorney non-compete agreement is there to hold their actions in line. 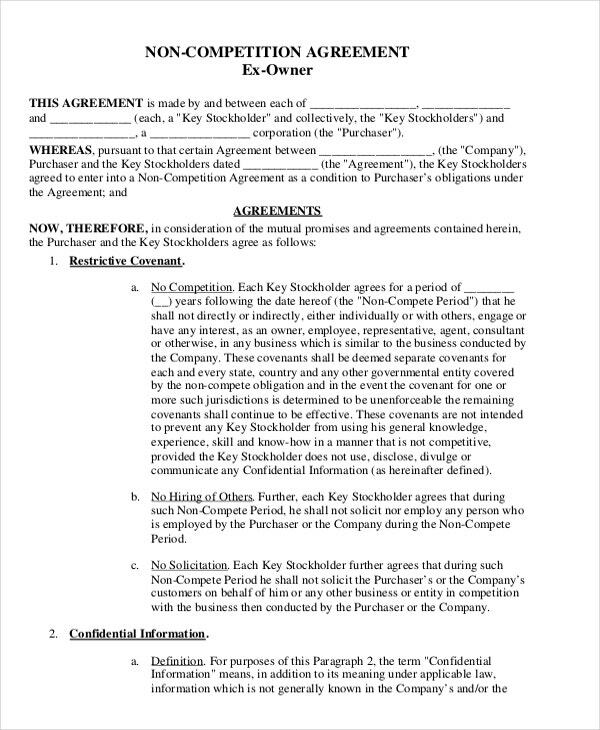 You can also see Non-Disclosure Non-Compete Agreement. They will be the one responsible for their actions and will be given sanctions when they find fault in the agreement template they have signed. As the defender of justice and truth they themselves should be an example to others to prove that they are worthy to hold their title as law enforcers. It will aid in rectifying the standards and rules that must be followed by the signatories in a non-compete agreement of any kind. It will be the paper that will help any person to make the agreement more visible in showing the actions they should take. 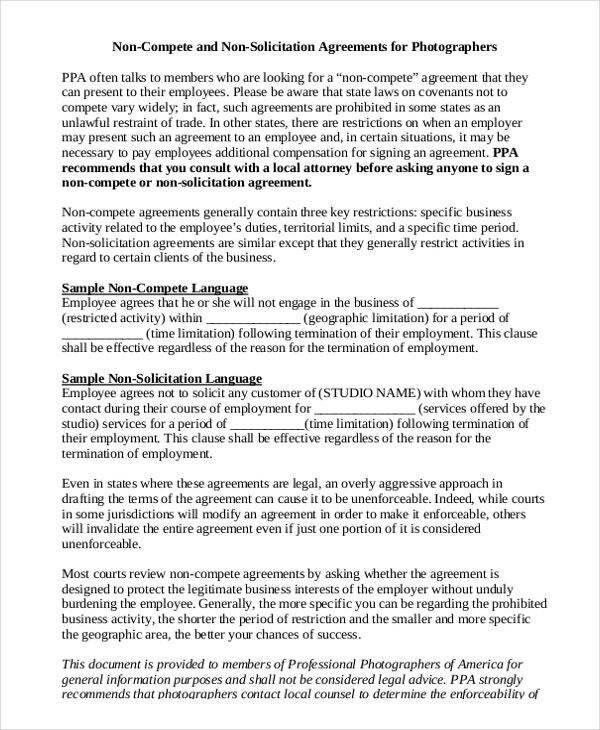 You can also see Simple Non-Compete Agreement. 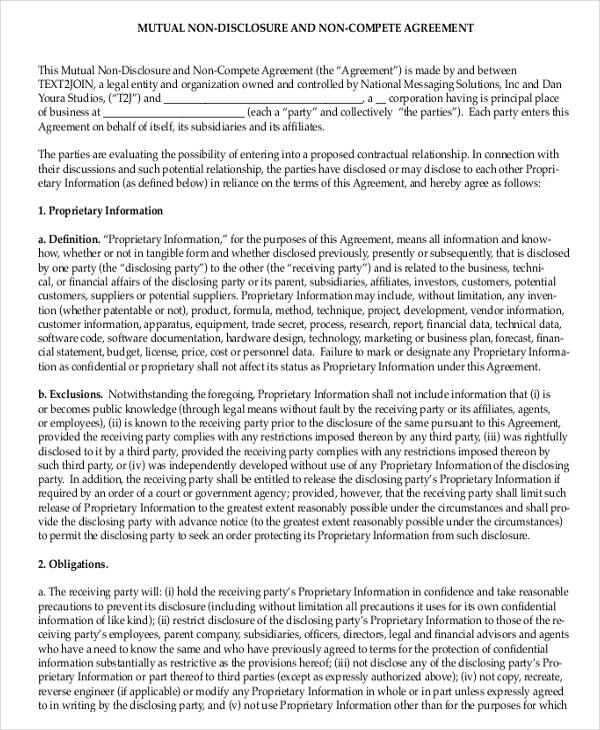 This deal has the authority to make all the parties involved in the agreement to not ever talk and discuss some important data they have shared to each other. They have made the pact that will make them silent in the long run of the agreement. 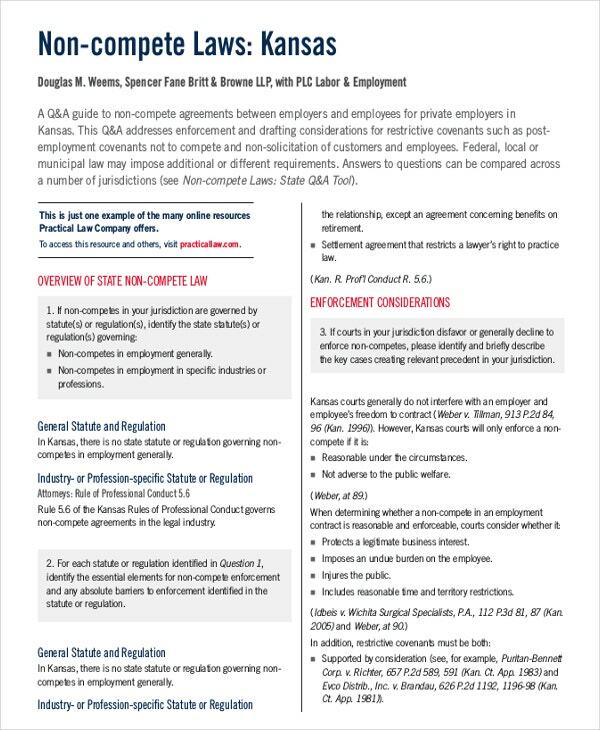 Any employer can have this readily available where they can utilize it as a formal contract to cover any vital data and be still to any of their personnel to become a contender in the line of their business. The common the rules are that it is used in diverse business the more effective it can be applied in this kind of agreements. 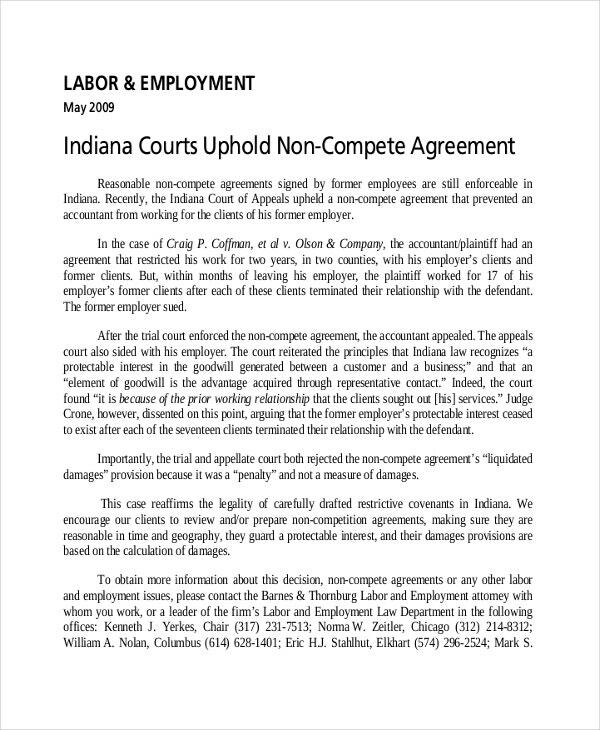 You will not look for different documents for any non-compete agreements as this document has it all for you in the store. It will make your task easier and make it more relevant in many purposes as it can be. It is simple and is comprehendible in single look. Many industries can have this in direct arrangements where it will be unpretentious in making any orders complicated. Some of its contents usually has all you need when you are about to enter to this kind of deal. When you want to make any deals be fast and without hesitance in keeping any private information at bay especially removing imitators, this document will serve both purposes effectively. All people who will read it and get to sign this will never look for clarifications as all of its contents are self-explanatory. 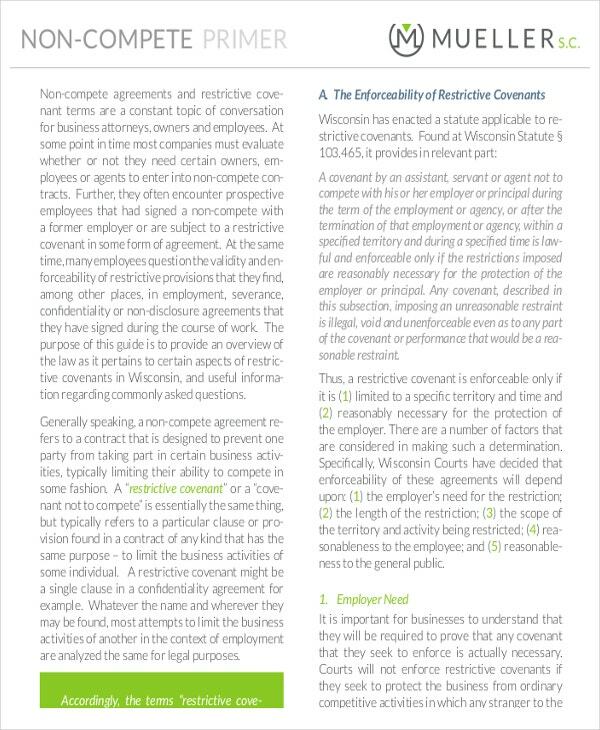 You can also see Standard Non-Compete Agreement. Every attorney office and law firms has the need to apply this document to make sure that they will no longer problem the information’s that may go outside the court or any of their offices that can put them in difficult situation or liability. 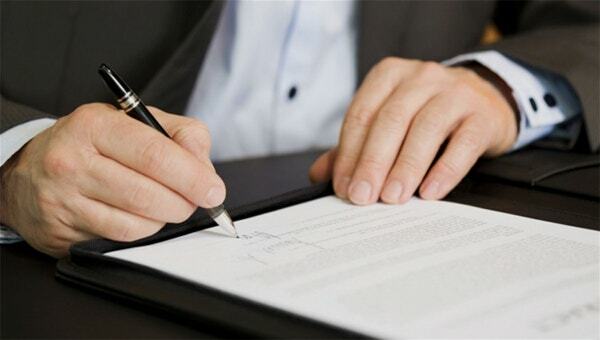 It is best done when an attorney or lawyer will write down all the rules and terms of the agreement as they know what should be done in the deal itself. Make sure that the client can understand well what is written in all of the rules that has been typed down by the lawyer or attorney before they sign it. 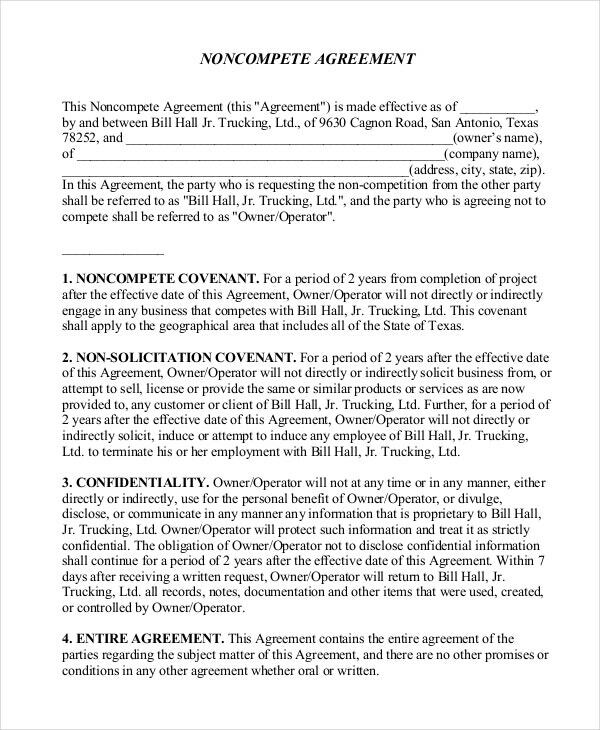 You can also see Non-Compete Agreement Form. 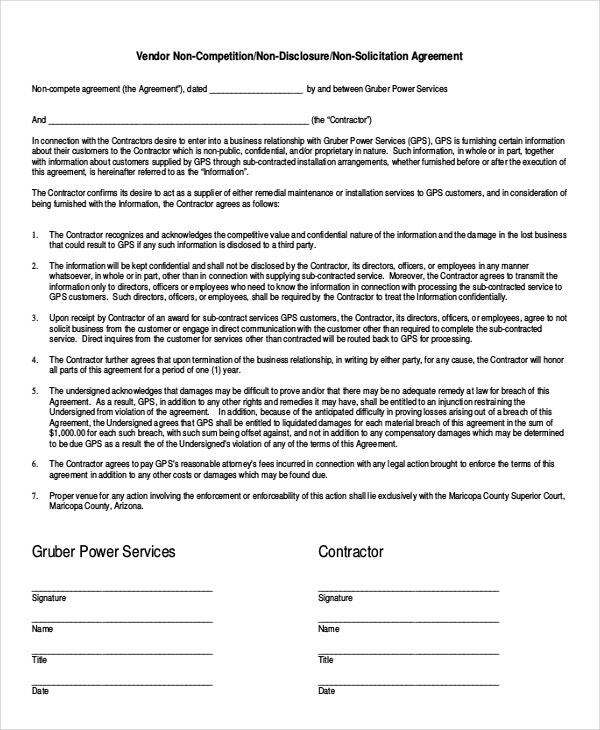 Talk to all the signatories before they sign the document as this document has terms and words not common to ordinary people. The document is well made by the professional that you will not think twice if its applicable for your use. In example format of it, it will assist you to modify some parts when you find it lacking of some points.